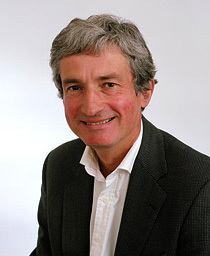 Richard is an experienced management consultant specialising in change management and HR issues. In a 20 year career with KPMG, Kinsley Lord and Towers Perrin (where he was Principal (Partner) for over 10 years), Richard advised clients on the people and cultural dimensions of mergers and acquisitions, HR effectiveness and organisation improvement. His private sector clients were drawn from financial services, oil, pharmaceuticals and retail, including Shell, GSK, Astra Zeneca, Barclays and Abercrombie & Fitch. His public sector experience covers Central and Local Government, the NHS and Universities. Richard has worked extensively in Europe, North America and the Middle East. He speaks excellent German and French. Prior to moving into consulting, Richard held senior HR positions with Unilever, Merck and Co. Inc., and Plessey.